So, I always see these cute plushies on the internet, but always think I don't need to spend time making stuffed animals since I don't have any kids and I don't think a grown woman needs a bunch of stuffed animals laying around. 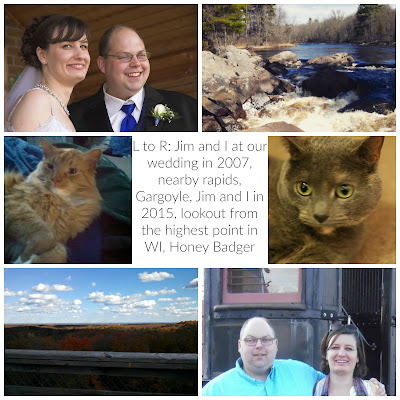 But I still pin a lot of patterns because they're so darn cute. 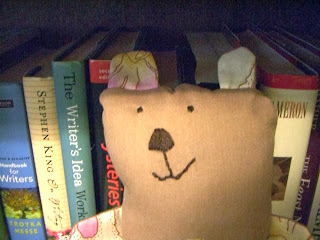 Then, last week, Michelle's Patterns (affiliate link) had an adorable teddy bear for their Friday special. 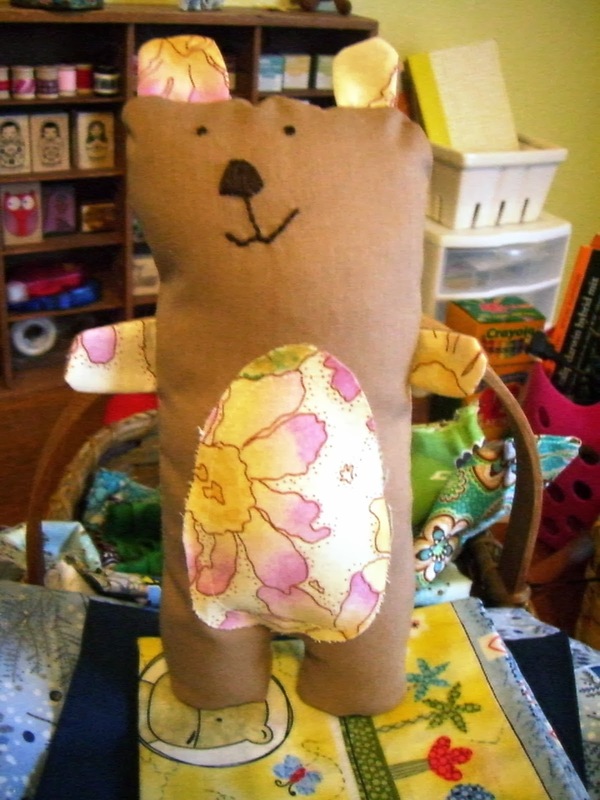 The pattern was on sale for $5 and he looked to be easy to make and was so cute, well, I couldn't say no. The Bailey Bear pattern is actually from Shiny Happy World and you can get the pattern by clicking on the link or by purchasing it on Craftsy (affiliate link). He's about 10 inches tall and goes together super quick. 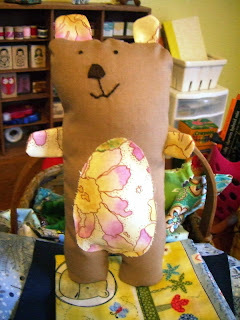 The pattern said 4-5 hours, but I think I had him done in about 2 and I was watching television while I cut him out. I hand stitched his eyes, mouth, and nose (the original pattern says to cut a small piece of felt for his nose). I really like that the pattern doesn't entail a lot of pieces nor use a lot of fabric. It's a good scrap buster or if you have some fat quarters laying around, you can use those. I plan on making some more for our church's craft fair that is coming up next weekend. If you're a new sewer and looking for an easy project that will give you cute results, you should really check this one out. There's even videos embedded in the pattern in case you get stuck along the way. And if there's any kids in your life, I think they'd love a Bailey Bear.